The President’s Task Force on the Vice President for Equity and Inclusion is charged with evaluating the desirability for Willamette of creating a Vice President for Equity and Inclusion or similar chief diversity officer, and, if there is concurrence, to recommend to the President the goals, scope, and structure of such a position. 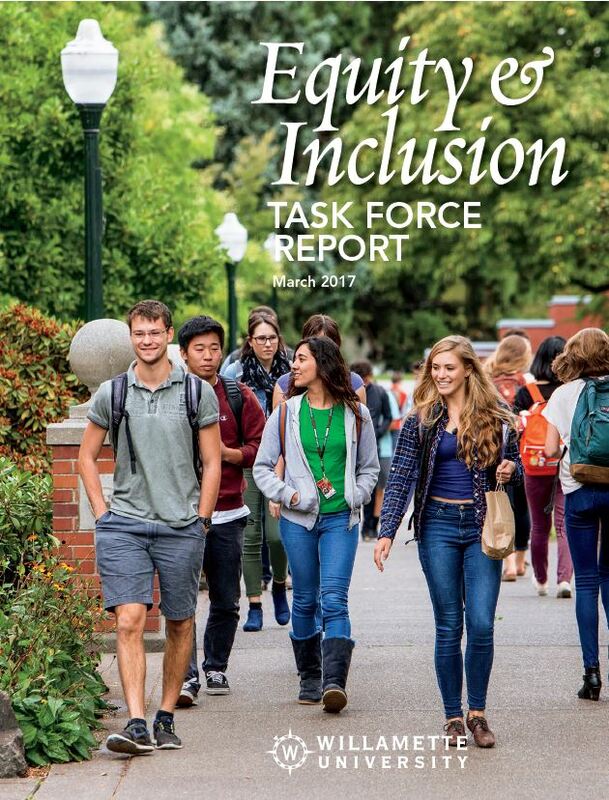 Submit a report to the President that recommends whether a VP for Equity and Inclusion is the appropriate strategy to achieve Willamette’s goals around equity and inclusion and, if so, what are the goals, scope, and structure for the position. The members of the task force will safeguard confidentiality while conducting its work with transparency and openness. Unless otherwise indicated, the task force’s charge is completed upon the submission of its recommendations to the President. Download the Equity and Inclusion Report below (PDF-format).